Welcome to The Bay Bed Company blog!! 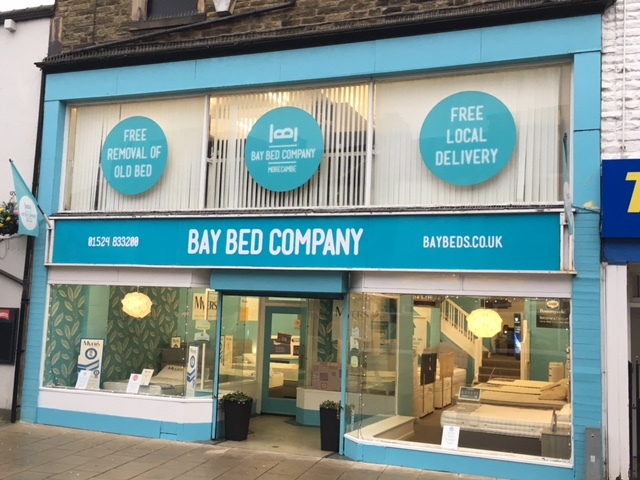 We are a large, family run, independent mattress and divan bed store on Queen Street in Morecambe close to the town centre. Over the last 9 years we have built up a reputation locally for selling quality divan beds and mattresses in the Morecambe and Lancaster area and for providing a good service for our customers. We sell products from many of the well known and trusted bed and mattress manufacturers. In our three floor showroom we have over 35 divan beds and mattresses on display across all price ranges – there really is something for everyone!! We are a bed shop that offers free local delivery throughout Lancaster and Morecambe and the surrounding areas. In addition we remove your old bed or mattress free of charge. Come in and have a look at our showroom right here in Morecambe! !